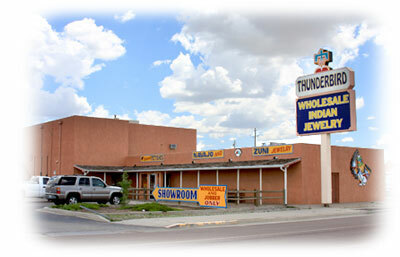 Thunderbird Jewelry Co., located in the “Heart of Indian Country” of Gallup, New Mexico, has been serving the Native American/Southwestern jewelry industry since 1974. Fair dealing and customer loyalty has allowed for our success, which we are very grateful. 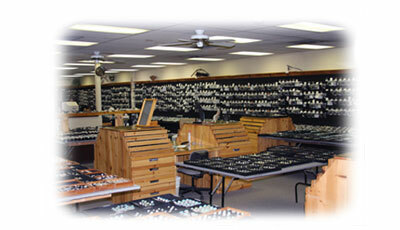 Our reputation as a wholesale dealer who accurately represents its products is important to us. We support the principle of full disclosure and we do our best to inform our customers of product authenticity. If you have any questions or concerns about any of our products, we will be happy to assist you in providing the information you need to make the most informed decision about your purchase. Since our inception, we have been committed to serving our customers with innovative improvements and industry-leading systems. Our stock numbering system makes it easy to purchase and reorder products. Keeping thousands of items in stock allows our customers to have access to a wide variety to choose from. Our customers have been able to place orders from our website since 2000, the first in the market to do so. All of these services are intended to allow our customers the benefits of dealing with a company that supports a friendly, professional ordering and shipping experience. We consider your opinion, as well as your satisfaction, to be most important to our success. Drop us a line or give us a call. Tell us what we can do for you. We're here to serve you. That’s why we’ve been around for a long time, and we’re committed to stay.